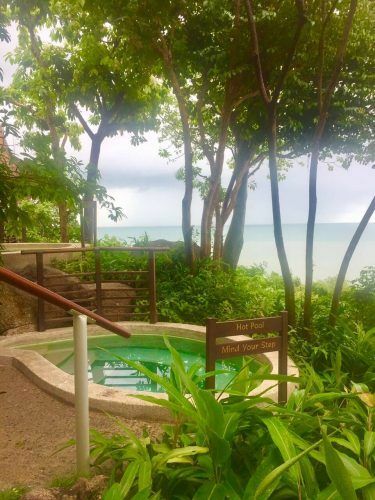 Kamalaya Koh Samui - Is this the Best Spa in Thailand? 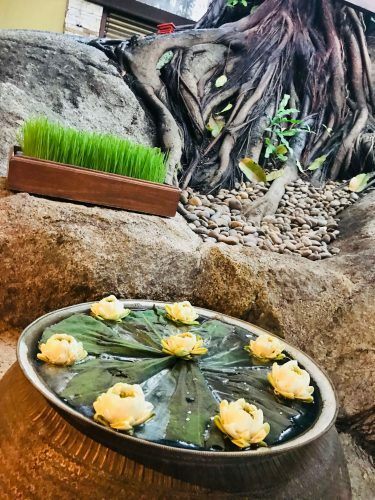 Kamalaya Thailand – Is this the Best Spa in Thailand? 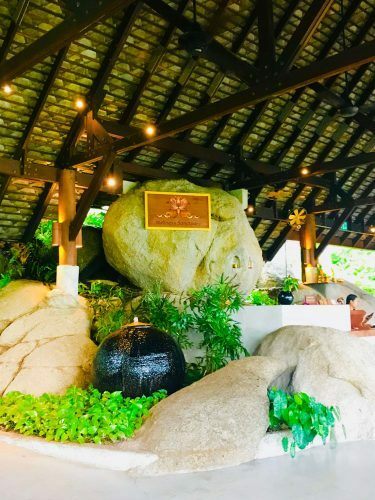 The best spa in Thailand is a big statement. I know. But I feel highly confident making it as this was my third visit to Kamalaya. I had fallen a bit in love with it on my first stay three years ago and returned to find I was as much in love with it last year. It is a unique place. 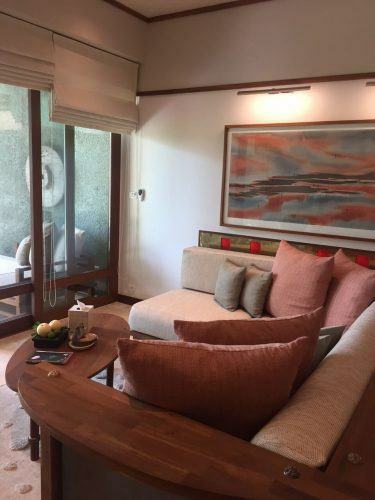 The setting is so beautiful and such care has been taken to integrate the resort with its environment. Kamalaya Thailand has a special feel to it – it is such a warm and friendly place. Everyone says hello to each other. It is incredibly easy to talk to people – or not if that is what suits you. 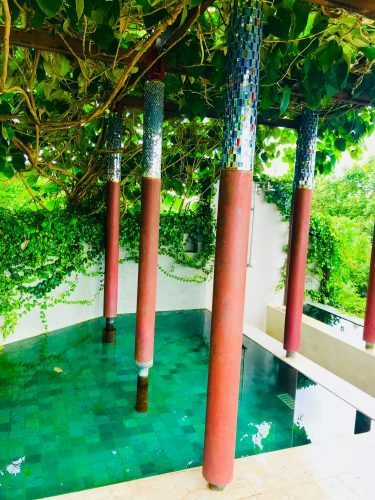 If you are heading to Kamalaya via Bangkok check out my post on hotels near Bangkok Airport. 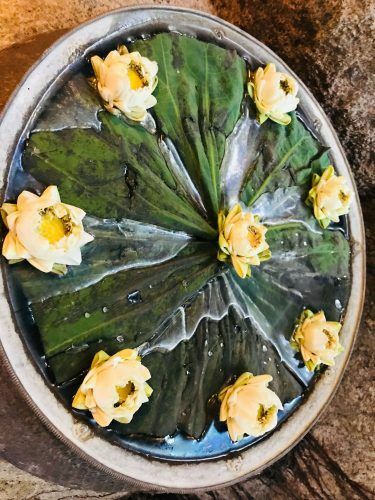 Kamalaya – What is the food like? The food at Kamalaya is what it is all about! It is fantastic and much discussed! There is a range here from full-on detox to relatively “normal” healthy food. You have complete flexibility as to how you eat – you may choose to go detox at breakfast, order from the ideal weight menu at lunch and then from the “normal” menu at dinner. It is completely up to you which I really liked. 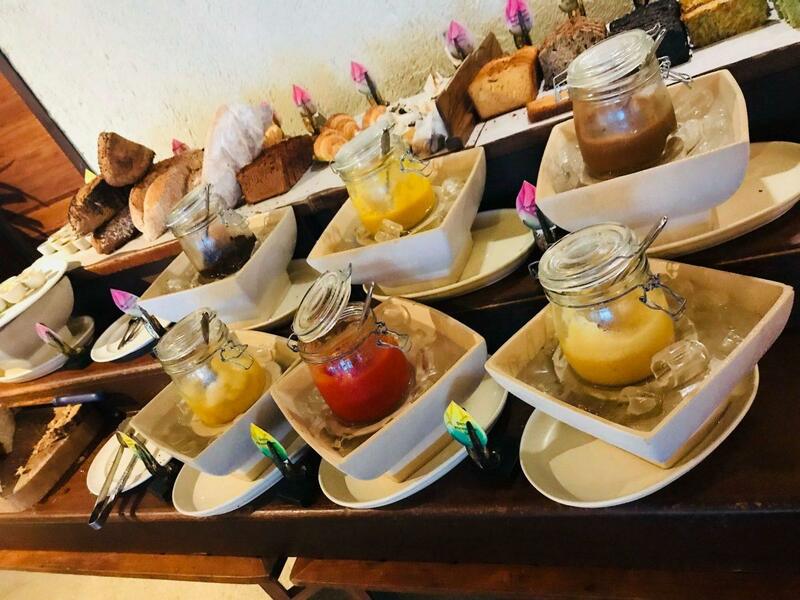 The breakfast is an amazing massive healthy buffet extravaganza. The first thing you see is a wide selection of fruit and juices – as well as the deep green shots of things like wheatgrass. I know it is 1kg of vegetables in one shot but gosh it tastes dreadful! 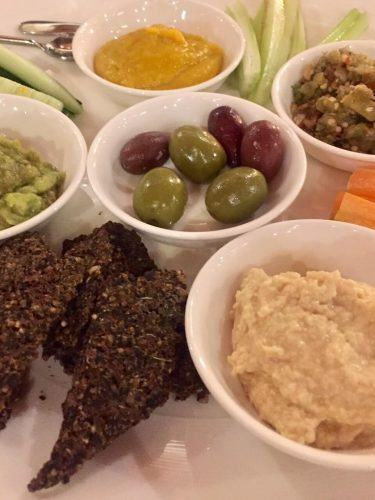 Then you can move on to a fantastic selection of vegetables and dips. The avocado dip is one of my favourites as is the tomato salsa. Next to them are a range of gluten-free slices of bread and again “normal” bread. There is then a bit of a detox counter area where you can add seeds, nuts, dried berries etc plus a yoghurt area. And then an Asian breakfast food types area. My favourite gluten-free slices of bread are the yoghurt and honey and the almond and apple. These are best toasted. As if that wasn’t enough you can also order eggs any way you like or an omelette. Very importantly they also have good coffee. Some wellness retreats won’t serve caffeinated coffee which can be frustrating if you are not planning to quit. Not the case here! You can get a latte but personally, I preferred their black coffee with hot milk. Breakfast is held at the Soma restaurant. 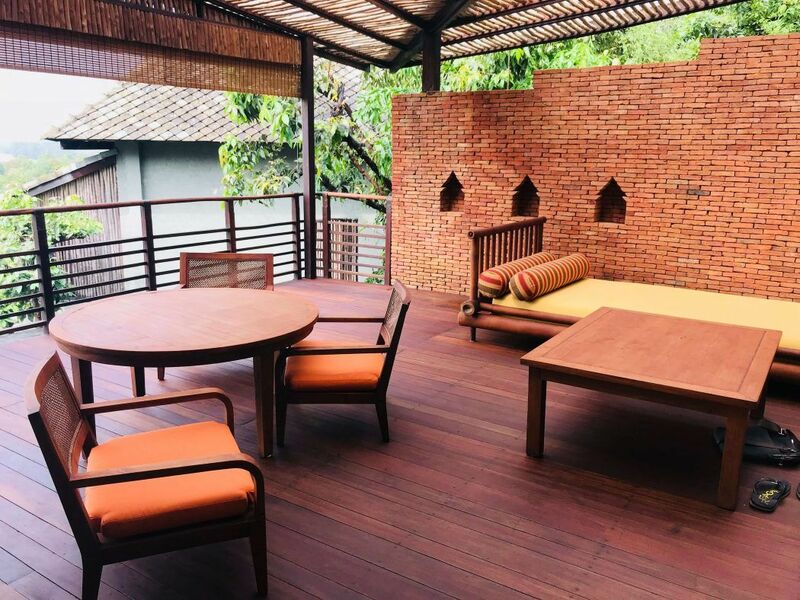 Another great spa in Asia is Dwarika’s Dhulikhel in Nepal – read my review here. Next up is lunch which is held at the Amrita restaurant next to the landscaped pool. The lunch and dinner menus have about half in common and half different. 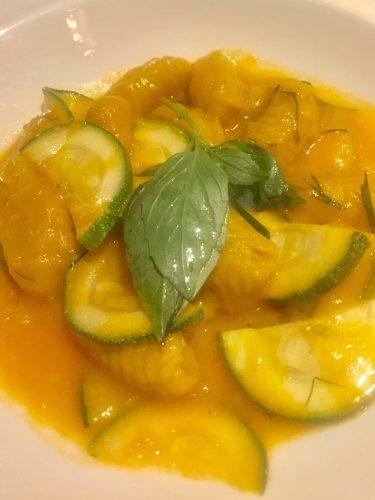 There are also daily specials for both detox and non at lunch and dinner. One of my lunch favourites was the grill. Here you could have your protein of choice served with a choice of vegetables. A nice warm carb free healthy lunch that also fills you up. 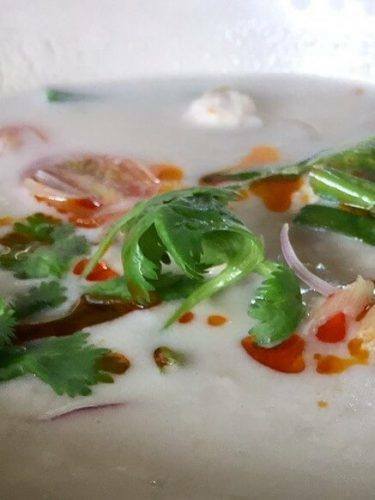 I was also a big fan of the coconut soup with chicken and vegetables – I found that this on its own was enough to keep me going until dinner. Love a spa and planning to travel on your own? Check out my Solo Spa Breaks Guide. Lunch was my preferred time to hit the juice menu. And what a menu it is! The juices go on for pages and it is great fun trying all the different options. 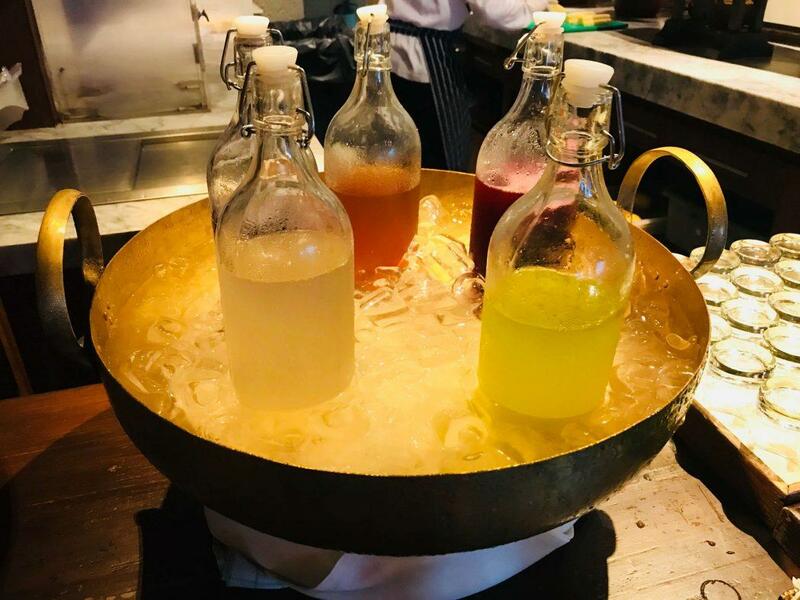 Now there is a difference between the lunch and dinner juice menus – it took me a while to figure this out but there are quite a few additional juices served at dinner. A couple of my favourites were the detox berry loco and the mojito. At dinner time I almost always hit the “normal” menu. I think everything that is normal is still pretty healthy. And the portion sizes aren’t huge (but they are adequate) which helps. 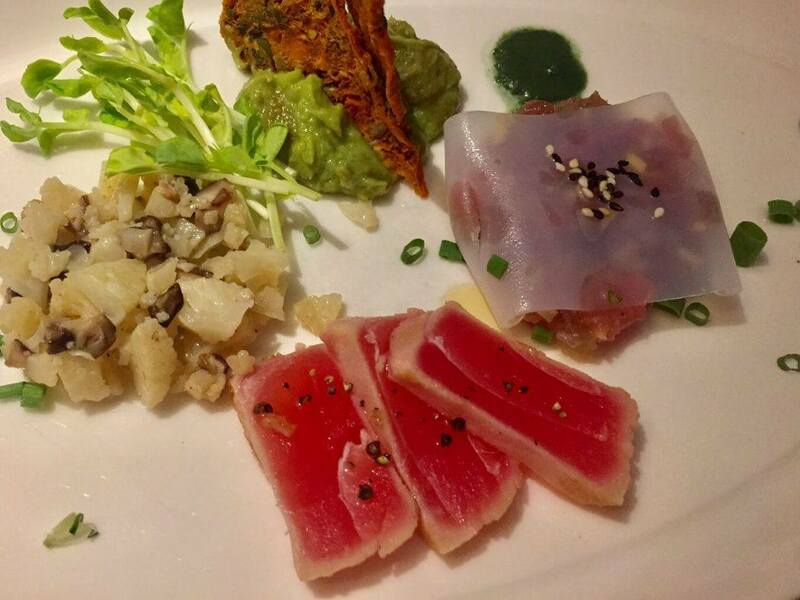 Some of my favourite appetizers were the Aki tuna, the lobster and mango and the traditional Thai appetizer. The curries are fantastic – quite light for curries and generally not too spicy. 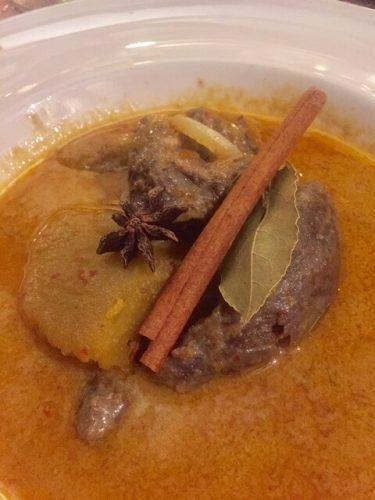 I had the massaman lamb and the green chicken curry – both excellent. I also had the salmon with quinoa which was great. 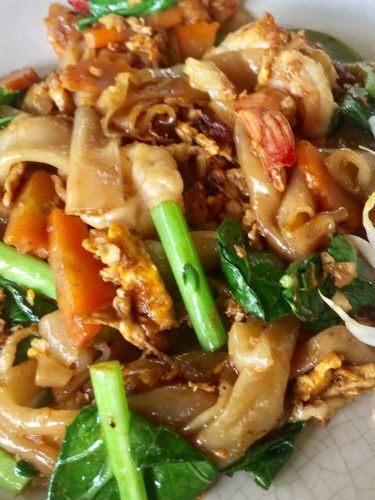 And don’t forget the pad thai – it is delicious and you will not feel like you are missing out at all by eating healthy when you have this! And as if that wasn’t enough then there is dessert! 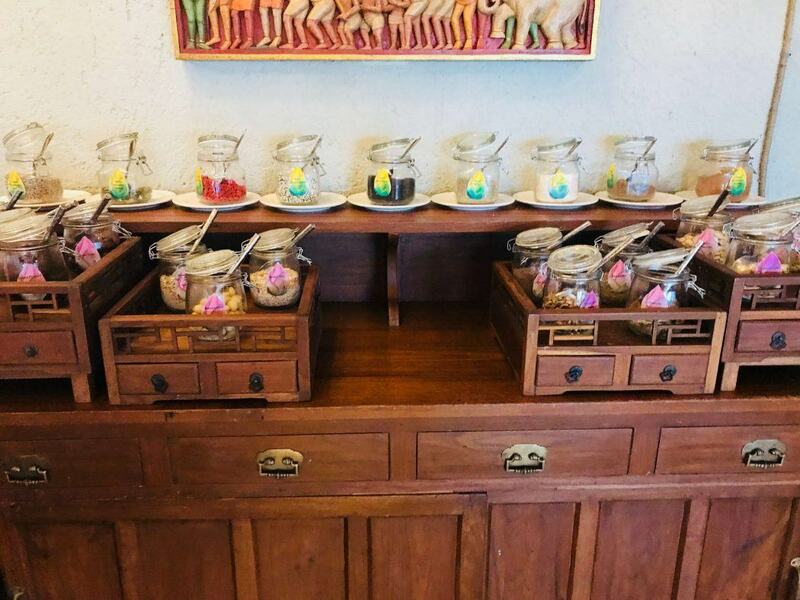 For a wellness retreat, Kamalaya has some pretty fantastic desserts. Let’s start with chocolate! My favourite dessert had to be the Kamalaya chocolate mousse. This must still have quite a few calories as it is amazing – but I chose not to ask. There is also a dairy free mousse that is a smaller serving size and still quite nice. My advice is to try this first because you won’t be able to go back after the full chocolate mousse. The chocolate avocado cake is also very good as is the crème brulee. If despite all that you are peckish in the afternoon the lounge is open from midday for snacks and beverages. Finally the drinks. 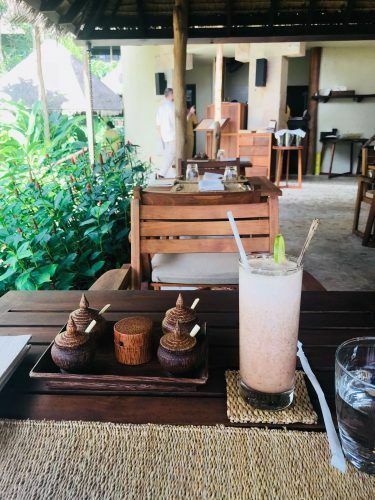 The juices are amazing at Kamalaya and you can have them at every meal. There is also a huge selection of teas. There is wine available – you can order by the glass or bottle and it is quite a good selection. I was fond of the sauvignon blanc. There is champagne available as well as a more accessibly priced Prosecco! Do you also love Elephants? 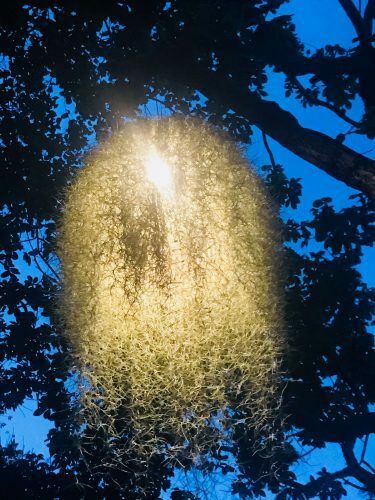 If so and you would like to see some whilst in Thailand don’t miss this post on Visiting Elephant Nature Park in Chiang Mai. 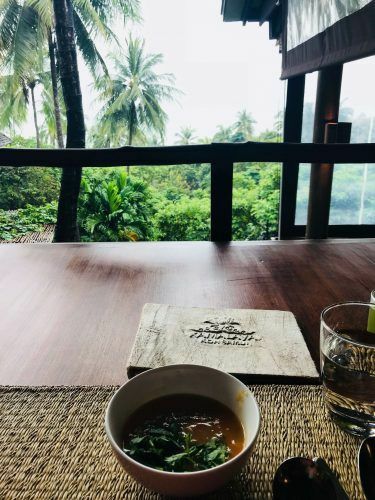 On my first two trips to Kamalaya, I was very exercise focused so decided to pretty much eat what I wanted and have wine. 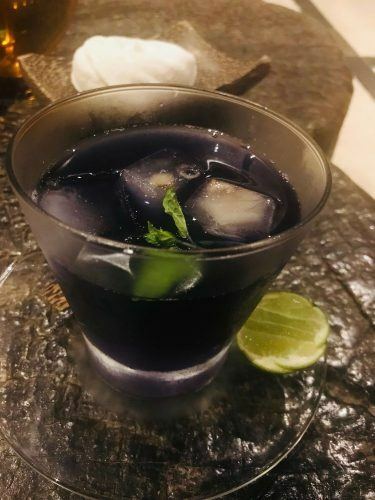 On trip three I wanted to shift a few kilos so decided to do the detox menu and no wine for the first 4 days of my 7 and then see how I felt. 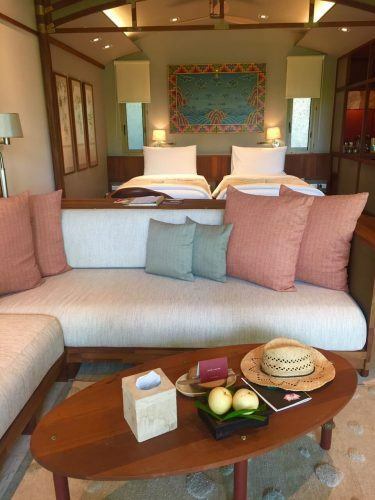 What are the rooms like at Kamalaya? 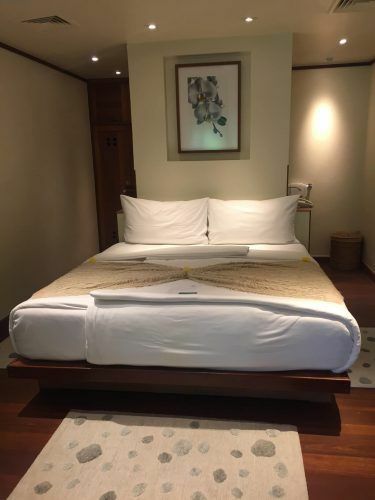 I have tried out quite a few different rooms at Kamalaya! My second stayed in two different room types on this stay due to availability. The first was the standard hillside room – I also stayed in one of these my first and third visits albeit different rooms. There is a good sized queen bed with good quality sheets and duvet – no flat sheet. The room was quite long and thin – it was ok to share it but I was glad we only had 2 nights as it may have felt a bit claustrophobic with two of us for seven nights. There was an outdoor shower which was lovely – however, it did dispense only cold water. The toilet was separate which was convenient for sharing! We had a nice terrace with seating for two of which we made good use. The suite was of course much better! Here we had our own good sized single beds. There was also a lovely L shaped couch which was big enough for both of us to stretch out comfortably. The bathroom was much bigger and we had quite a big outdoor space with a lounge and table and chairs. The rooms are lovely with good quality furnishings. The lovely cotton Kamalaya robes are provided with all of them as are slippers. There are also full toiletries. The one thing I would say is that the towels are getting a little thin and could use an upgrade to something fluffier and more retreat-like! Each room comes with a full sweet dreams pillow menu and the option of adding a mattress topper and/or a bed sheet. 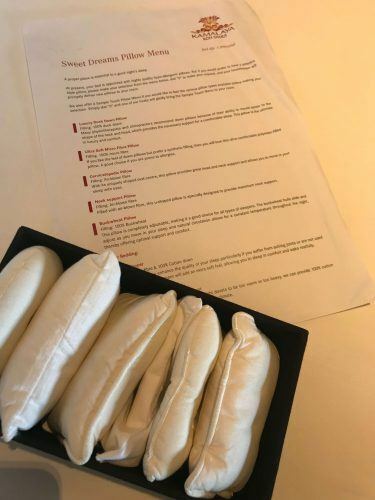 You can even have someone come to your room with pillow samples! I did this on trip three and tried to new pillow types – and got the mattress topper AND the bed sheet! 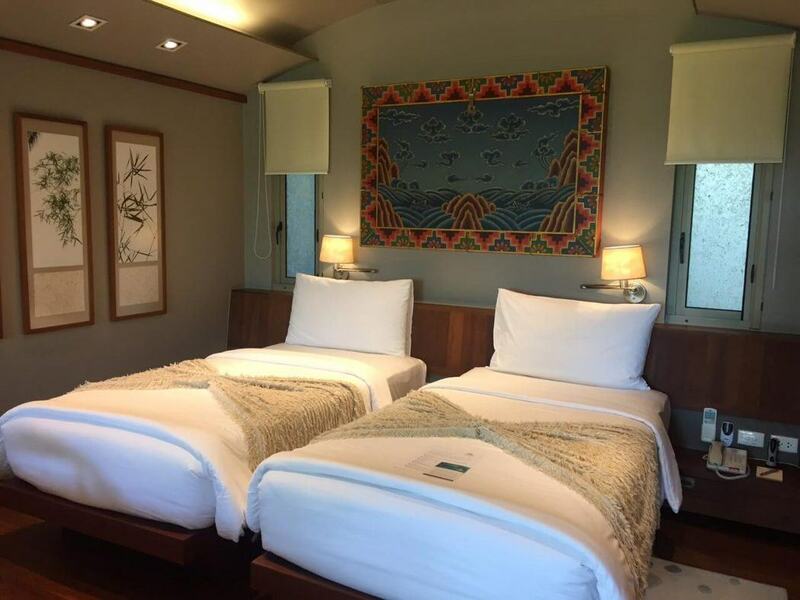 The bed sheet fits all my thread count criteria – interestingly Kamalaya now has their own branded sheets! What sorts of facilities are on offer at Kamalaya Thailand? 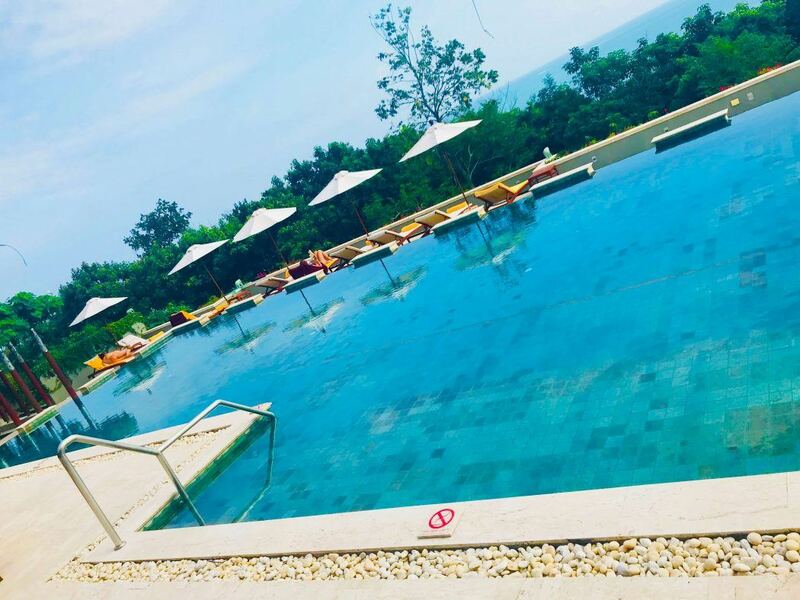 There are two pools and a private beach. The beach is always manned and there are deck chairs, towels, cushions, umbrellas as well as ice water and anything else you may need. Beach swings are so appealing! 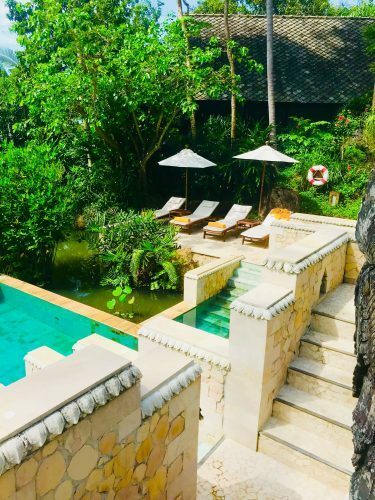 One pool is next to the Amriti restaurant and it is a very scenic beautifully landscaped pool – you may recognize part of it from the key image that Kamalaya uses to market itself. You can lie by this pool but it seems to be less popular than the beach and the second pool. This is a pool you can paddle in and cool down but laps aren’t really an option. 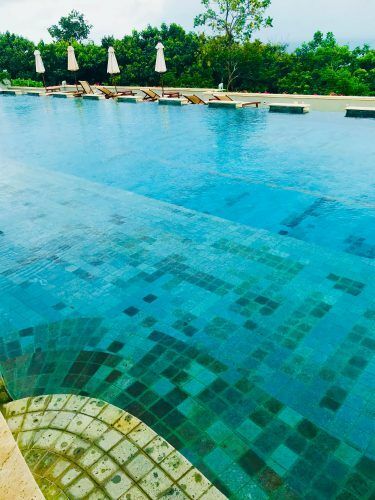 The second pool is massive and located next to the gym on the other side of Kamalaya. There are loads of lovely places to sit and lie and lots of options on seating type and location. This pool is perfect for laps if that is your thing and is also where the aqua aerobics are held. The pool is also always manned. This pool only opened three years ago and is lovely. What a place to swim laps! The gym is also only three years old and is over two levels. 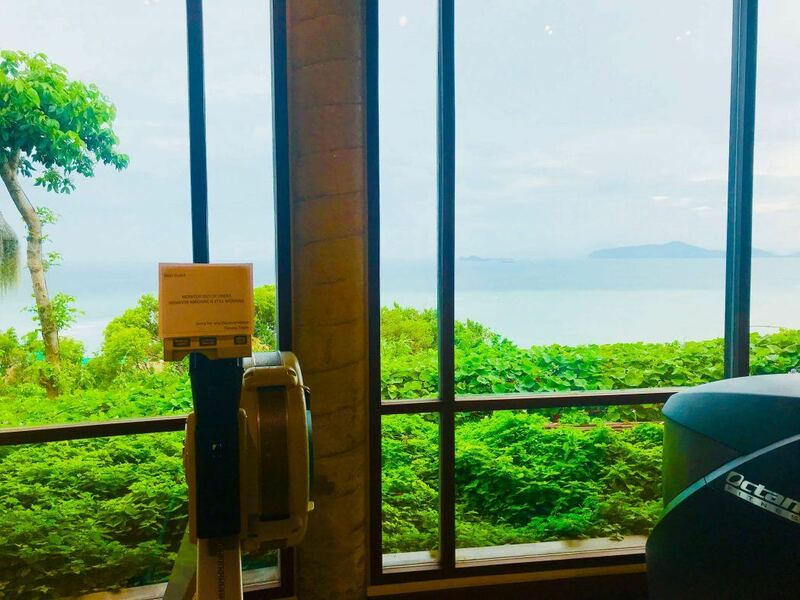 The running/step etc machines all have fantastic views. The weights are all downstairs and they have a fantastic selection of equipment. Again there is always someone in the office who can explain how different types of equipment work. How good is this as a view from a rowing machine? Underneath the pool is a fantastic steam room. Once you are out you can either hop in the shower or if you are really brave jump into the rather cold plunge pool! Kamalaya was built around its meditation cave. This cave is located just after the wellness centre. You are able to enter at any time but they do ask you to cover up. Within the wellness centre is another steam cavern and then three different jacuzzi sized pools of different water temperatures – each with a stunning view! The gift shop is located next to the Soma restaurant. It has some lovely items if you want a classy souvenir to take home. It also stocks the kamalaya robes and pyjamas. I highly recommend the super soft cotton robes. I have one at home and love it! And it has the usual basics of sunscreen, toothpaste etc in case you have forgotten anything. There is a cute gallery underneath. The library is located a bit down from the reception area. There are several computers in here plus a great selection of books and newspapers. Just outside the library is the lounge and it has some wonderful big couches and amazing views. 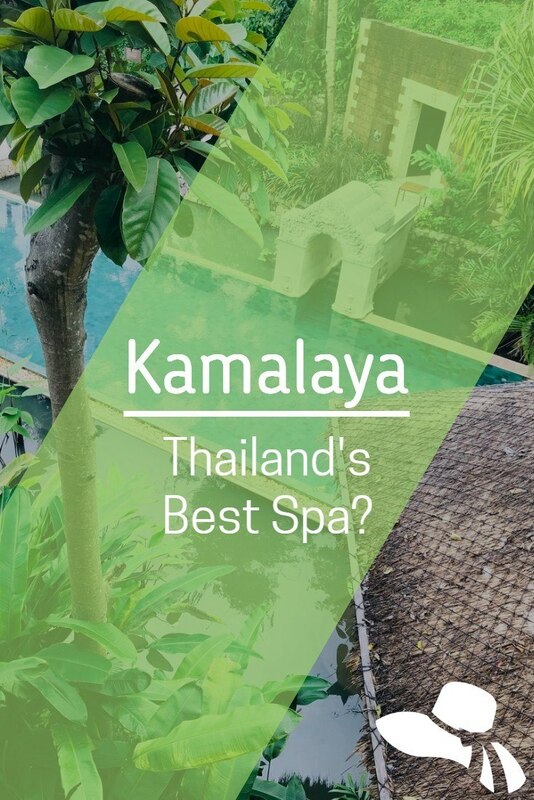 What is there to do at Kamalaya? Each morning there tends to be a class at 730 and then one at 830/845. The 730 class tends to be more meditative – well I wouldn’t know this as I never got up early enough to attend but it sounds like that! Then the second class – which I did attend – is yoga. This is either a flow type yoga or a more gentle yoga – and some mornings there are a gentle and a more intense on offer. Next up there tends to be something at 4 pm and then at 5 pm. One is normally more intensive – say a circuit class or aqua aerobics. A couple of days a week there will be another intensive class. But most days there is then a softer class on offer such as stretching or meditation. Where to begin???? There is so much wonderful stuff on offer here. I could write and write. Instead, I am going to focus on the treatments I personally did. Treatments are so personal – what delights one person is dreadfully unpleasant for another. So I will do my best to fill you in on what my likes and dislikes are so that you can get a sense of what you would and wouldn’t enjoy. Your first appointment will be a wellness consultation. Here your height/weight/blood pressure etc will be taken. You will then see a consultant to discuss your time at Kamalaya and what you would like to get out of it. You can then discuss any specific issues and the consultant can recommend treatments. You can also then make changes to your schedule. Well, you can do this anytime with up to 4 hours notice and they tend to be very accommodating of changes which is great. You will also then have a wellness consultation on your last day to check in on how your stay has gone. The relax and renew package features a range of treatments. You can swap these out for other treatments but obviously, you have received them at a discounted price so this needs to be taken into consideration. 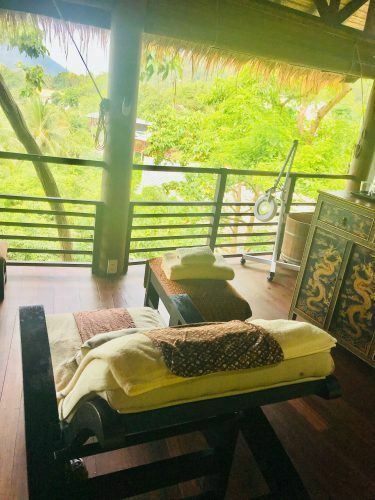 My favourite treatments were the foot and hand massage, the vital essence oil massage and the traditional Thai massage. I like quite strong pressure and these all suited me – although the therapist will always ask you what type of pressure you prefer and adjust accordingly. If you have never had a hand massage I highly recommend it – there is something so lovely and comforting about having your hand “held”! I have ticklish feet so normally struggle with a foot massage but this wasn’t the case here at all – it was wonderfully relaxing. How nice is this as a place for a foot massage? My absolute favourite was the traditional thai massage. You wear pyjamas for this and there are no oils or lotions. This is a more powerful type of massage but fantastic if you have neck/shoulder tightness. I was in heaven! There is a new treatment called the Upper Body Tension Relief massage that I tried on my most recent visit. If like me you get a lot of knots in your shoulders and neck I highly recommend you give this one a try. I enjoyed all my treatments but of course, you will always enjoy some more than others. I did the Chi Nei Tsang which is essentially a stomach massage. This was quite nice – probably really worth doing if you have been having any digestive issues. I also had the lotus blossom scrub and wrap. I have realized that I am not much of a scrub person as I really don’t like being a bit wet and potentially cold for the majority of a treatment. Same goes for the indian head massage but here it was oil overload in my hair. Again it is lovely but for me, I think I prefer staying dry! 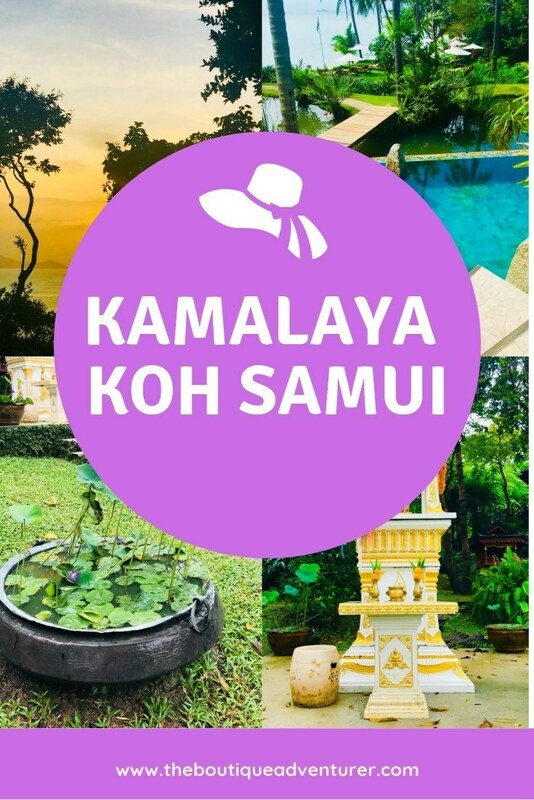 There are of course many other treatments and you can check them all out on the Kamalaya website. For a different type of Spa Experience check out my post on the Blue Lagoon Iceland. In between, there is a mix of included activities and options. Included activities are everything from tea sharing to stress talks to more spiritual ceremonies. The extras are things like cooking classes, tours of the island, boat trips etc. I did the boat trip last stay and it was excellent. My most recent visit I went on the temples tour which was fantastic! I didn’t have high expectations but I so enjoyed it. We visited 4 different temples and the guide took me through the different ceremonies and tributes. The highlight for me was the final temple the Red Temple. Not only is this temple stunning we did a proper offering ceremony with a monk – and our offering was purchased at Tesco which greatly amused me! Early evening there will often be a visiting practitioner doing a talk pre-dinner. Then there may be no further activities, there might be a later meditation, there can be movie night etc. Most nights everyone is so tired that few people stay up past 10 pm! 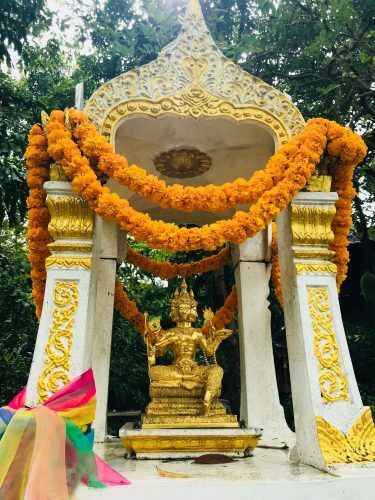 Planning a trip to Thailand? 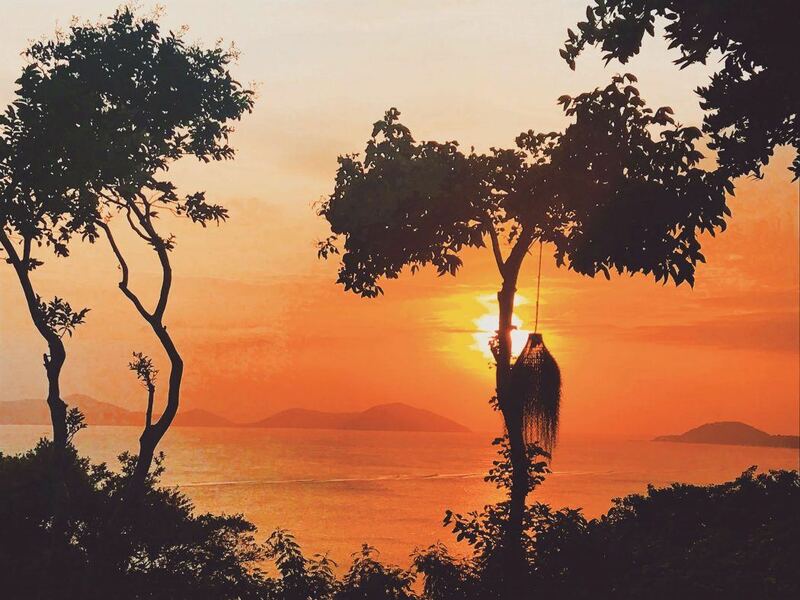 This great post on the 27 Best Things to do in Thailand will point you in the right directions! 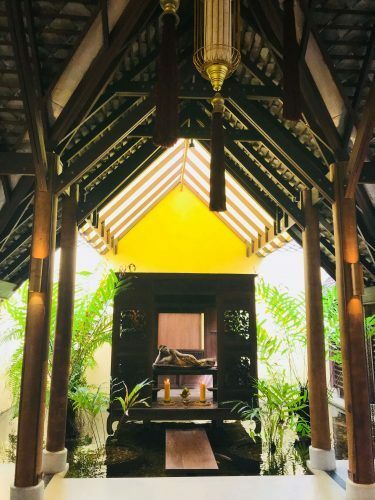 What is it like going to Kamalaya on your own? 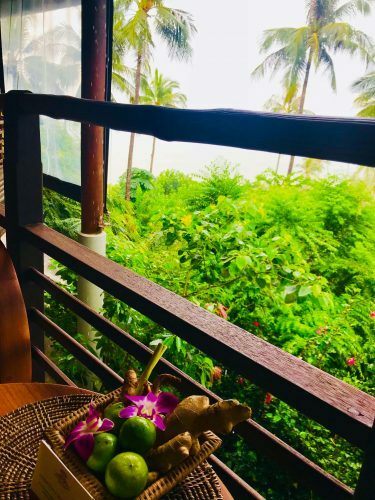 My first visit and third trips to Kamalaya I went solo and stayed for a week. I stayed for New years both times. The first visit I arrived late on the night of the 30th. NYE is a big banquet and you are sat at group tables. It was easy to talk to people but a bit of an effort not knowing anyone and being jetlagged! The second trip I went with a friend and we arrived on the 29th. Having a buddy on NYE greatly improved the experience – even if we did have quite a few drinks vs my dry NYE the year before! My third trip I arrived on the evening of the 27th December and left on Jan 3. If you want to meet people Kamalaya makes it easy to do so. The classes offer an excellent way to chat and most people are very friendly. Obviously, the activities are also a great way to meet people. But the key way most people use is the talking table. The talking table is a dinner thing and tends to be the most bustling bit of the soma restaurant at night! I think the majority of people who come to Kamalaya do come solo. I have been over new years all three times so I think that results in a few more couples. Anyway, even with that factor the talking table still buzzed whilst I was there. Combine a spa experience with a safari in Africa! Read my post on the 4 Best South African Spa Experiences. Visiting practitioners and entertainers often sit at the talking table which also helps. And the couples who are staying for a while often drop in once they have finished eating. It is a great and super easy way to meet people. You can eat and leave or eat and stay – no one seems particularly fussed. Europe is in some ways the home of the spa holiday – one of the oldest spa regions in the world is in the Czech Republic. Read my Czech Spa post to find out more. -If you are staying for a week buy the wifi for the week. Kamalaya aims to provide a digital detox and prefers you not to have phones etc outside your room. However, sometimes it isn’t an option to unplug for the week. They do provide one hour of free wifi a day but that wasn’t enough for me. The weekly buy was the best option. –Book Dr Song when you book your stay. 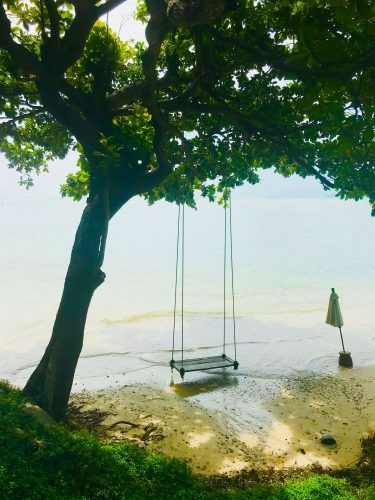 Dr Song is perhaps Kamalaya’s most famous resident – he spends half his year here and is renowned for his Chinese medicine and acupuncture skills. I couldn’t get in to see him my first stay but did this time. He was excellent. However, my friend saw another acupuncturist who she also raved about so don’t despair if you can’t get in. -The packages that Kamalaya offer are chock full of treatments. The first time I stayed I did the relax and renew for 5 nights and then full room and board for 2 nights. Even with this, I found that I felt very busy. This time I went with 3 nights relax and renew and 4 nights full room and board and found it worked much better. Kamalaya will stretch out your treatments over the week so essentially every day I had a treatment. I did yoga every morning and an exercise class every afternoon so this worked a lot better for me. -Check out the visiting practitioners. Kamalaya source interesting people from around the world – who are all delighted to come and visit and stay for a while. Each of them does an evening talk where you can learn more about what they offer. I have seen Omesh who does astrology on both of my visits and thought he was excellent. He is German and rather direct but to me, that added credibility to his readings! Experience the friendliness of Ireland with my review of the fantastic Monart Spa Ireland. How gorgeous is this pool setting??? 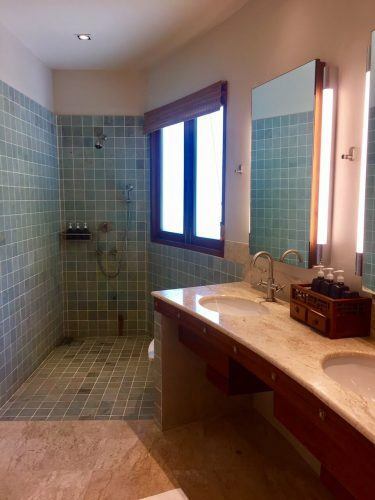 -Don’t miss the steam room under the big lap pool. It is a great one – and next to it is a rather cold plunge pool if you are sufficiently brave! 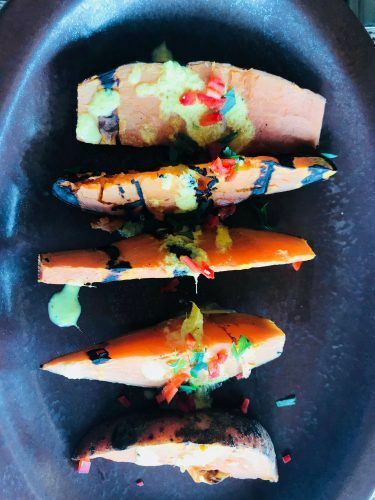 -I appreciate this is an odd thing to say for a wellness retreat but make sure you try the curries and the desserts at kamalaya – they are particularly amazing! -I was a fan of the split breakfast. I would get up at 745 and go and have a coffee and some fruit. Then post yoga I would go back for my second coffee and my eggs or toast and dips. This helped me wake up and keep going through yoga! -The vinyasa yoga is a great halfway point between very gentle yoga and that which feels more aerobic! You get lots of good stretching without wandering as many times when it is going to be over J! 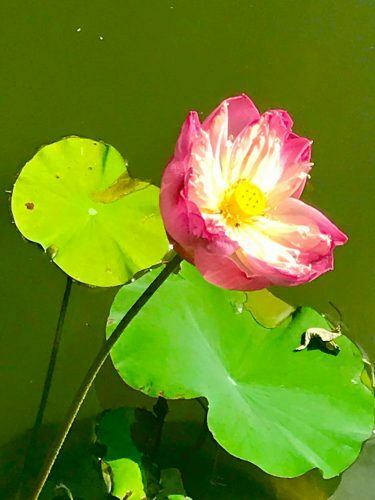 The gentle yoga is great if you are new to yoga or it has been a long time since you did a class. –aqua aerobics was my favourite of the more intense activities. It is fun and silly and actually quite a workout. The best bit is you don’t really notice till you get out of the pool as the water has kept you so nice and cool! -You are also offered a “takeaway” meal when you leave. This allows you to get one more healthy meal in before you leave! 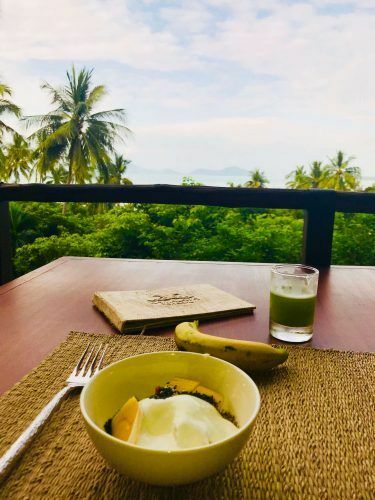 There are virtually no healthy food options at Koh Samui airport so this is a great thing to take advantage of to extend your wellness retreat for as long as possible! It might not be the first place that comes to mind when you think of spas but Scotland has some great options – check out my Scotland Spa Breaks post. 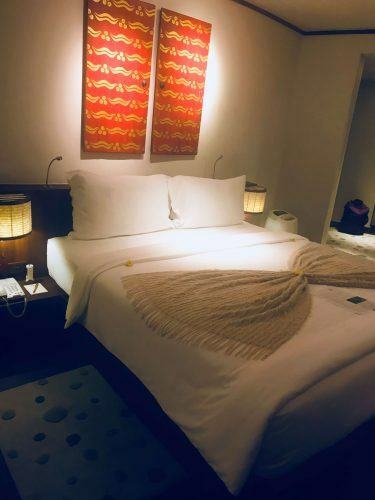 How long should I stay at Kamalaya? This is a tough one to answer and of course, it depends on why you are going in the first place. If it is a quick relaxing break then I think the minimum you would want to stay to make things worthwhile is 3 nights. If you are looking for quite a big break after a stressful time I think 10 nights would be ideal. 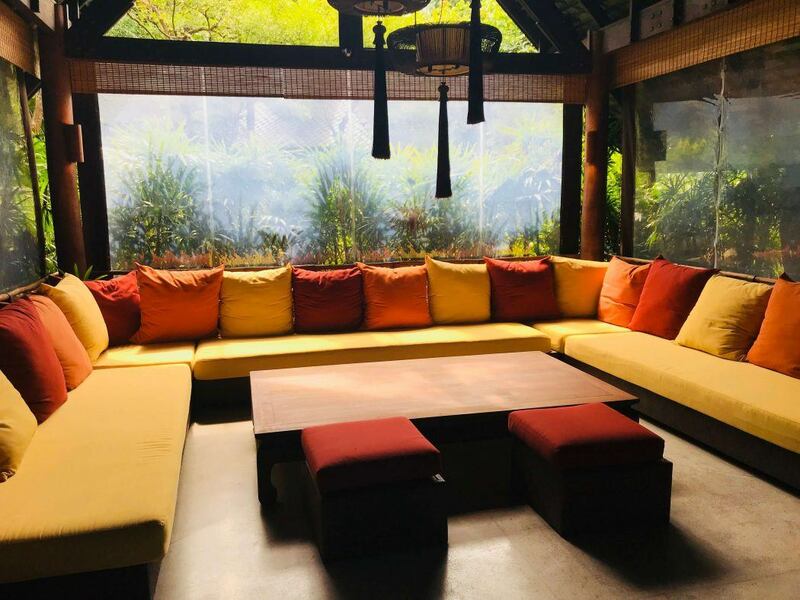 If you are looking for a bigger change there were quite a few people spending three weeks or more at Kamalaya Samui – for things like changing sleep patterns, losing weight, etc etc. There are a number of programs from fitness to relaxation to sleep to detox to weight loss to dealing with emotional issues. You can and of course, should seek advice up front from Kamalaya as to what your needs are and let them guide you. 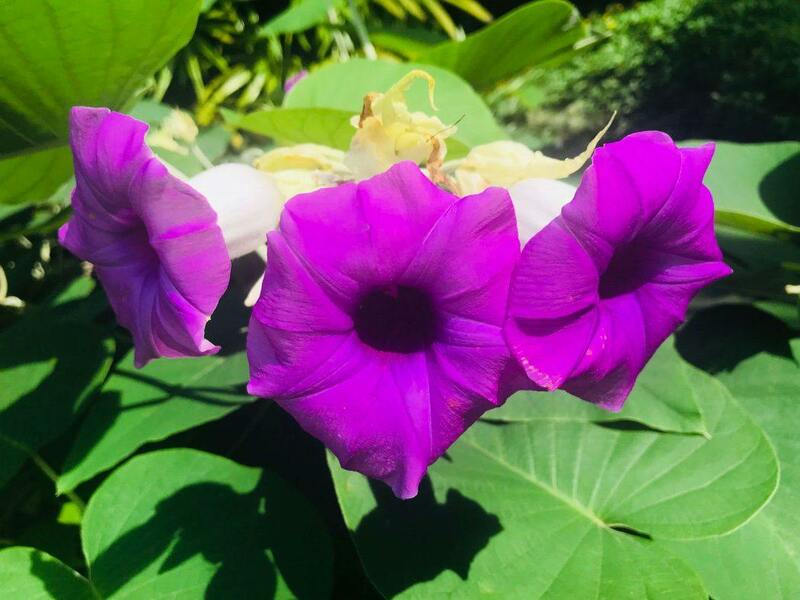 One of the nicest things about Kamalaya Thailand is that it is not part of any big corporation. Of course, they need to make money but their goals seem very pure and they are not pushy at all. They appear to genuinely care about all of their guests and with providing them with a fantastic value for money wellness experience. For a classic English spa experience read my post on Ockenden Manor Spa. How do I get to Kamalaya? Kamalaya is located about 45 minutes from Koh Samui airport. Most packages at Kamalaya include an airport pick up and return or you can organize that separately – this really is the best option. The flight from Bangkok is just over one hour. 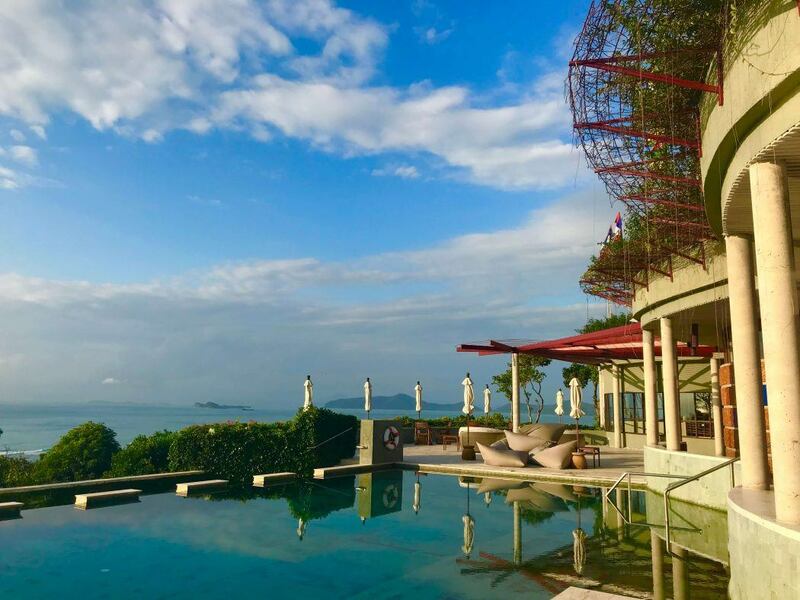 You can also fly to Koh Samui from many other Asian cities but, of course, flying out of Bangkok will give you the most options in terms of flight times to allow you to get there at a good time on the first day and leave at a later time on the last day to maximise your stay! If you like wine with your spa check out my post on the lovely Solage in the Napa Valley. Time for a strawberry mojito – non alcoholic but still delicious! This is based on a 7 night stay in late December. If you bring heels you will most likely not wear them as Kamalaya is hilly so best suited to flats. Travelling further around Thailand? 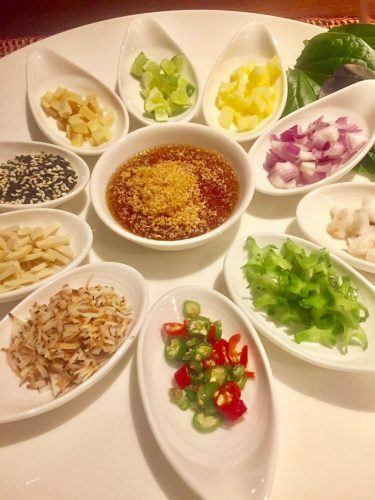 If so check out this Complete What to Pack for Thailand Guide. If you actually want to leave Kamalaya (really??) there are some fun activities you can do in Koh Samui like trying Kite Surfing – Click here for Kite Surfing Prices and Availability – or Click here for Stand Up Paddle Boarding Prices and Availability. 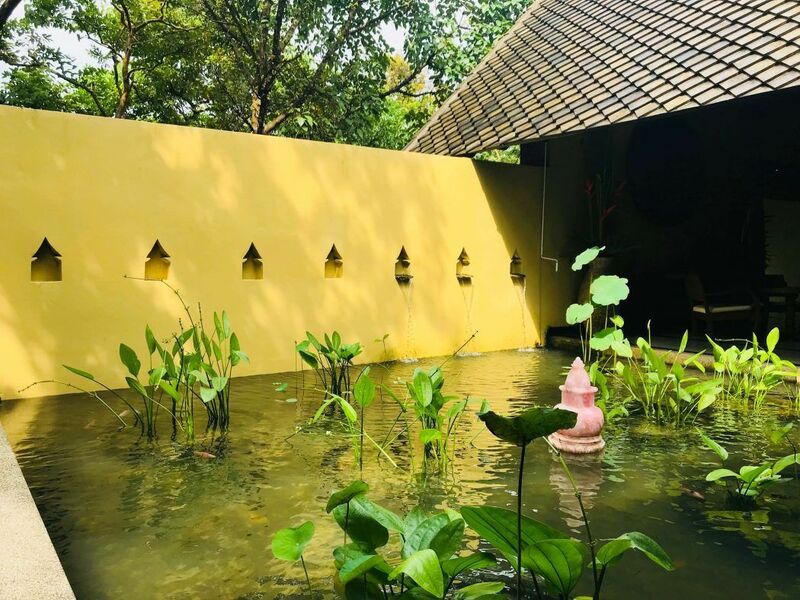 Spa and Thailand, two of my favourite things! I’d love to stay here one day.